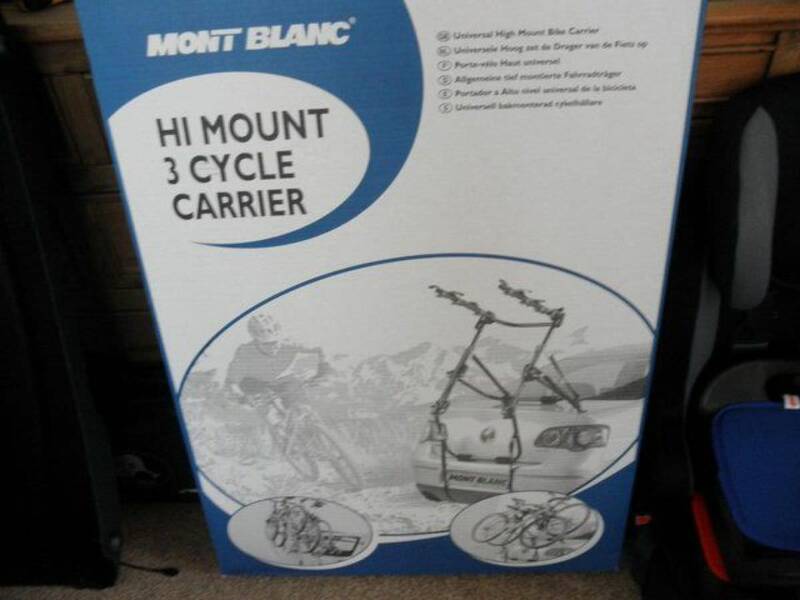 Mont Blanc Hi Mount 3 bicycle carrier. 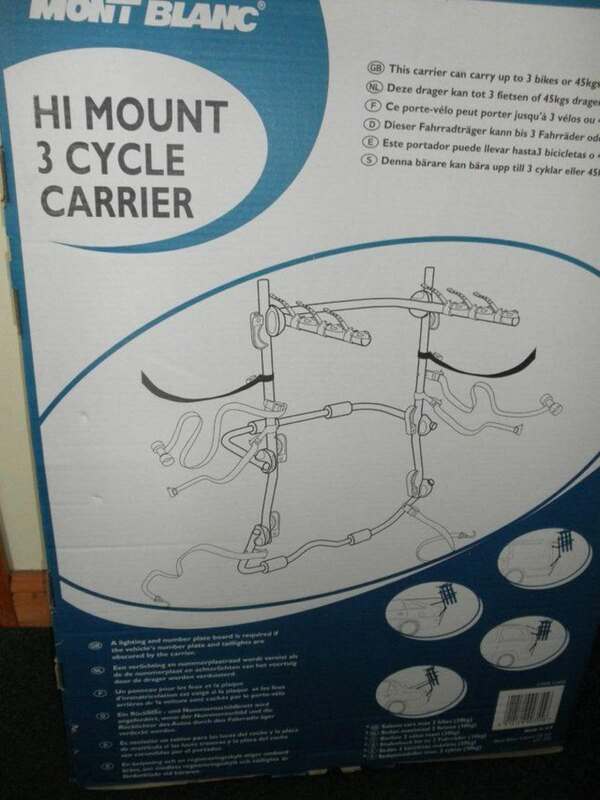 Purchased from Halfords. Brand new still in the box. Cost originally £60.